If you have just found out that you have celiac disease, you may be intimidated by the prospect of making your diet entirely gluten-free in San Jose. Although this may seem like a daunting task, there are ways you can approach it that will allow you to continue to enjoy the food you eat; there are even substitutes you can use so that you can still enjoy your favorite deep dish pizza. 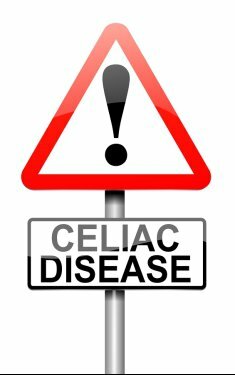 Keep reading if you are interested in examining the diet for celiac disease sufferers. When you find out that you have celiac disease, you can start modifying your diet by identifying which groups of foods are naturally free of gluten. Between fish, meat, poultry, dairy, and fruits and vegetables, there are actually many options to choose from. You will have no problem continuing to enjoy a fruit salad or a berry shake throughout the day. Keep in mind that it is important to read all labels when you buy items from these food groups nonetheless. Certain dried and processed fruits may not necessarily be gluten-free, so it is important to check before consuming. Modern technology and industry methods allow for the production of alternative versions of all kinds of foods. Vegetarians can find “chicken” patties that are not actually made of chicken, and celiac disease sufferers can find gluten-free versions of the foods they have always loved. It may seem like this information solves all of your problems, but it comes with a small caveat: While you can find and enjoy these gluten-free substitutes for your favorite foods, the bulk of your diet should still be made up of naturally gluten-free foods. This means that you can feel free to enjoy gluten-free pizza, but you must complement it with fruits and vegetables. Many grains are naturally gluten-free, making them viable options for the celiac disease sufferer’s diet. These grains include rice, beans, soy, potato, and many more. 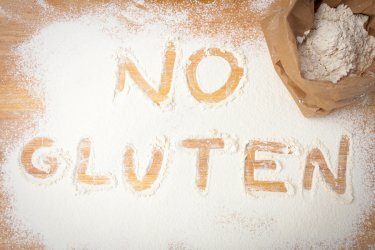 It is important to note that bulk bins should be avoided because you cannot rule out the possibility of cross contamination with other grains that do contain gluten. How Will You Start Out Your Next Meal at Pizz’a Chicago? One of the best reasons to go out for deep-dish pizza in San Jose is because the leftover slices reheat very well and can provide you with meals for several days. To make sure that you have plenty of delicious pizza left to take home, try a few of the delicious starters that we serve at Pizz’a Chicago. You can order these if you’re getting take out or delivery food, too! Classic pizzeria starters that we offer include garlic bread, cheesy garlic bread, and cheesy pesto bread. For delectable, savory bites that are sure to whet your appetite for Chicago pizza , try our signature stuffed mushrooms, which we stuff with shrimp, mozzarella, parmesan, and garlic and top with delicious curry dressing. Fried calamari is another classic Italian option. On days when it’s chilly outside, you can’t beat our minestrone soup for comfort and warmth. And if you’re craving fresh greens, we have a variety of salad options ranging from a classic Caesar to a house salad to a special salad packed with roasted and raw veggies. You don’t have to give up your favorite foods just because you are eliminating gluten from your diet. 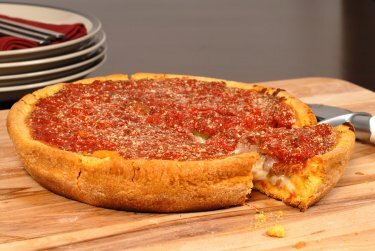 Pizz’a Chicago offers delicious gluten-free pizza near San Jose, so you can continue to enjoy this authentic Chicago-style treat. Whether you have celiac disease, gluten sensitivity, o r are simply giving up gluten as a dietary choice, you can still visit our pizzeria and enjoy some piping hot deep dish. The main source of gluten in regular pizza is of course the crust, which is made with flours derived from different varieties of wheat. Other than the crust, most pizza toppings are safe for people with gluten sensitivities or celiac disease. The cheese, tomatoes, fresh veggies, and meats on a gourmet pizza should not contain any gluten. Once you build a pizza atop a gluten-free dough , it’s very easy to make the entire dish gluten free. If you are not sure which toppings may contain gluten, don’t hesitate to ask your server or the person taking your delivery order over the phone about it. At first, it may seem difficult to eliminate gluten from your diet. This protein occurs naturally in wheat, barley, and rye, but it also appears as an additive in many packaged and processed foods. 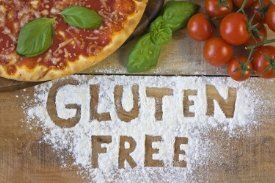 If you must eat gluten-free in San Jose because of celiac disease or non-celiac gluten sensitivity, there’s no need to worry. Many restaurants, even pizzerias, offer gluten-free options so you can still enjoy your favorite foods. More and more restaurants are catering to customers who cannot or choose not to eat gluten. The increased availability of gluten-free flour substitutes means that you don’t even have to give up your favorite foods. For instance, if you’re craving Chicago-style pizza you can visit Pizz’a Chicago, which offers the option of ordering delicious, authentic Windy City style deep dish completely gluten-free! Once you’ve discovered your favorite restaurants with gluten-free options in your area, keep a list in your phone and add their delivery numbers to your contacts list for quick ordering. Many packaged foods contain gluten, even foods you wouldn’t suspect. For example, pre-prepared bottled sauces often contain wheat or gluten products, as do many deli meats, vegetarian meat substitutes, canned soups, and even salad dressings. You need to read labels very carefully in order to avoid accidentally eating a product with gluten. When you are not cooking your own meals, it is much safer to dine out at a restaurant that offers scratch-made gluten-free options for you. Since a gluten-free diet requires you to eliminate most pastas and bread products, you will need to find other ways to fill yourself up at each meal. Fresh veggies, which are naturally gluten-free and loaded with vitamins, minerals, and dietary fiber, can help fill you up. A slice of gluten-free pizza topped with cheese and fresh veggies can be a very satisfying, complete meal on nights when you simply don’t have the time to cook for yourself.